Constructing an energy-efficient building requires careful attention to schedule, especially subcontractor sequencing and associated responsibilities. 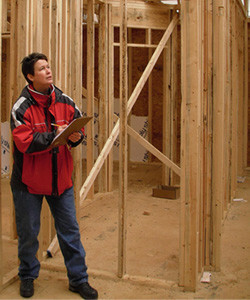 Often, energy-based construction techniques require changing the traditional order of subcontractors, while others require shifting responsibilities from one subcontractor to another. Some new activities also will be added into the schedule. We support clients through third party representation, conducting several inspections during the course of construction to ensure the builder and subcontractors have understood what is required of them and how to implement it. We also provide on-the-job training when needed and interact continuously with all building trades, answering questions and giving guidance. 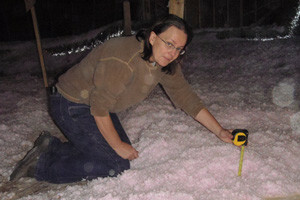 Inspect building shell for adequate framing, flashing, drainage plan es, crawlspace vapor barrier, and wall and floor insulation . Ensure air sealing of building envelope before it is enclosed with sheetrock. 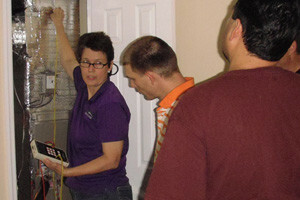 Ensure HVAC system is properly sized and meets allowed energy ratings. Ensure ductwork is properly installed and includes provision for fresh air. Pressure test ductwork to ensure it is below allowed leakage rate before it is enclosed with sheetrock. Inspect completed building for adequate windows, doors, lighting, water heating, kitchen and bath ventilation, and ceiling insulation. Pressure test completed building shell, to ensure it is below allowed leakage rate. Test HVAC system to ensure it is operating as designed. Construction oversight by a HERS Rater can bring huge rewards in terms of reduced costs and improved quality. at (865) 919-7464 or contact us online.